Purchasing this item will earn you 45 reward points (Reward Points Rs. 4.50) ! Purchasing this item will earn you 45 Rewards points (Rs. 4.50) ! The Rico cut is unfiled and features a thinner profile and blank. 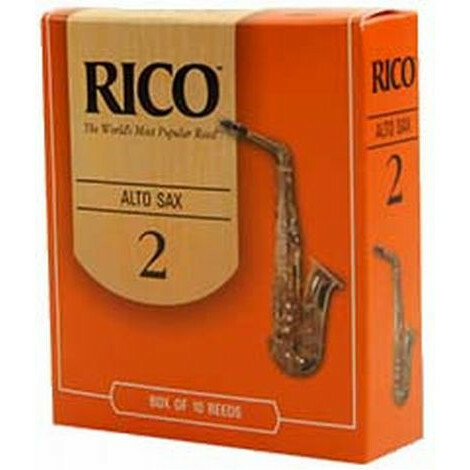 They are a favorite among jazz musicians and are ideal for students. Taking up Violin as your first instrument can be one of the hardest things. Ranked as one of the hardest instrument to learn, one not only has to be mentally prepared but physically as well. With gravity acting against you, holding up the violin and bow can cause a lot of tension and soreness in your arms. On top of that, your teacher may be constantly nagging at you on your left hand and bow hand posture. By choosing Violin as your first instrument, you have to understand that there’s no way you can sound like what you hear in the movies or look like what you see on YouTube. During your first month or so, after learning how to hold the bow and violin, the majority of your time will probably be spent on learning how to bow the strings properly. This may sound boring, but don’t underestimate the power of a good foundation! Starting slow is definitely better than rushing through and trying to correct your problems at a higher level. Patience is the key to good violin playing. As a beginner violinist, there’s already so much to think and worry about, is there anything that can help you play better? The price range for violins can be really big, ranging from basic beginner violins that cost around 100USD to professional master grade violins that can go up to a few million. They all look the same, so is there really such a huge difference? The answer is yes! And what makes up this price difference? It’s mainly the quality of wood and the amount of handiwork put into making a violin by the violin maker. A good violin gives better playability, which in turn makes it more enjoyable, hence contributing to a faster speed of learning as well. Another reason is that beginner violins made with a lower quality wood, will not have as good a resonance as violins made with high-quality wood. The response and playability will be much lower. So as you progress, you will start to realize that your beginner violin is not able to reproduce what you have in mind, and you may not be able to execute the required techniques for a certain piece. Furthermore, as your ears get more sensitive, you will start to want a better sound. For young children, the most important thing that I have to emphasize is choosing the correct violin size. Learning with a violin that is too big, is the worst mistake. This will not only affect the posture, which will need to be corrected again as the child grows, it is also very uncomfortable and painful to play with. The simplest way to determine the size is to place the violin on the student’s shoulder with their left hand stretched out, and they should be able to put their fingers around the scroll comfortably. However, some children may have smaller hands and weaker fingers, so it’s always better to be smaller than big. On the other hand, most adult learners will be able to handle the full-size violin. In fact, it is recommended. 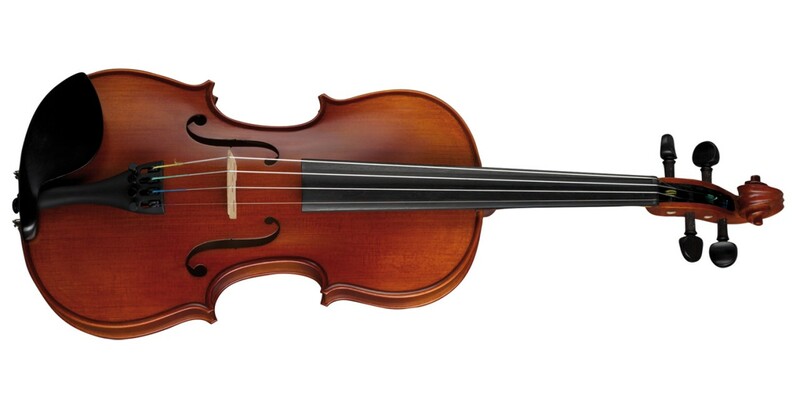 In the same price range, a full-size violin will be able to produce a fuller, richer and louder sound compared to the fraction-sized violins. Besides the violin itself, there are many other factors that contribute to the sound you hear. This includes the violin strings, rosin, bow, and even the bow hair makes a difference! If this is too much for you, don’t fret, most beginner and intermediate violins are sold together with all those mentioned above. I understand that as a new music student, most are not prepared to spend a fortune on their instrument. However, it is important to know what you are getting for the price you paid. Most beginner violins are factory made, with lower wood quality, and are usually fitted with steel strings which are low in cost and lasts very long, but harsh-sounding. That being said, beginner violins like the Granada MV888, which is around the range of 100USD are still playable at the beginner level. And it's still what I would usually recommend to beginner students unless they have a higher budget. This is more evident for young children as they usually need to change their violin size every 1-2 years before they reach the full-size violin. Furthermore, it will be good to learn more about the violin and your own preference on sound and tone, before investing in a professional grade violin in the future. If in doubt, it's always best to consult your teacher. This range of violins can cost between 300-800USD. An example is the Hofner AS-260 violin, which can be a good starting point. Intermediate Violins, though not all, may be semi-handcrafted, therefore a higher value, and it usually comes fitted with better violin strings. Better strings are much gentler on the ears, and also greatly affects the tone color. For beginner students who have a higher budget and a high determination in mastering the violin, this is definitely what I will recommend you to go for! The price range for professional violins is way too big, depending on the maker and age of the violin. For new violins, a break-in period is required for the tone to fully develop. There are many factors that contribute to the final matured tone of the violin, including playing style, strings, the number of hours played etc, which means that the violin tone is sculpted according to the player who first played the violin! This is the amazing thing about good quality violins. After a few years, the sound and tone will be more or less fully matured. However some players may prefer to have a violin whose sound has already matured, and this is where old violins come in. Another reason that old violins may sound better is because of the materials used. Due to overharvesting, certain species of wood has now been put on the endangered list. So what is most recommended? I would say that an intermediate violin is the best choice as your first instrument, as a better sound will definitely be more encouraging during your violin learning journey.